» Business Transition and Exit Planning: Welcome to the Jungle! 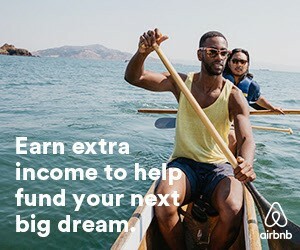 BTEP: Where Should You Start? You are a business owner. You have worked hard, possibly for decades, building your business. You are smart, and the business has been successful, but it is time to move on. Perhaps you want to retire; maybe you want to try your hand at something new. Regardless of the reason, you want to sell your business. But you have questions. Lots of questions. Sure, you are smart and sophisticated in your business but you have never sold a business before. So what do you do? Ask a friend? Do an internet search? Put up a “for sale” sign? I hope not. While selling a business is not rocket science, neither is selling a house. Yet nearly all smart and sophisticated homeowners use real estate agents precisely because we live in a world of specialization. But how do you select a good professional to help you sell your business? And while one can learn a lot from the internet one must understand that most of the information on the internet is there for a purpose. Go ahead, search “how to sell a business” and you will see that most of the top results consist of articles written by (or websites owned by) firms that want you to hire them. Financial Poise is different. Financial Poise does not seek to sell you anything. It earns money from two sources: (a) advertising revenue, and (b) webinars that offer more in-depth education about the topics are articles are about. Our writers must be recommended by a current Financial Poise Faculty Member, they are experts in their respective fields, and they never pay a dime to Financial Poise for having their work published. Financial Poise is, in a word, a meritocracy. This article is the first in a series of related articles by a number of experts in their respective fields that will help make you a more educated consumer of the professional services you may want to retain to help you. It is intended to be a starting point, a table of contents, so to speak, of the rest of the articles in the series (which you can read as one-off articles but which you will get more out of if you read them in the order presented below). These articles will probably not obviate your need for at least one advisor- a lawyer, accountant, business broker, investment advisor, valuation professional, and/or other professional advisor(s), but they will make you smarter about the subject so you can find the right advisor(s), ask them the right questions, and better understand (and potentially disagree with and ignore) their advice. Most of the articles in this series assume that you will sell all of the assets of your business, rather than your equity in the business. They make that assumption because it is the most common way to structure the sale of a business. A merger, however, for example, is not a sale at all. And, some sales are sales of equity instead of assets. Read “Basic Legal Structures for Selling a Business” and “Should you Sell Shares or Assets” as a warm-up before heading down the road of educating yourself about this how to sell your business. You cannot always control the timing, of course, but when you can this is a key question a business owner should ask herself. ask. According to “Selling a Business: When Do I Know It’s the Right Time to Sell?” there are many factors that should go into determining if you are seeking to sell your business at the right time. Some may be intrinsic (i.e. there may be some improvement you should make before you put the business on the market) or extrinsic (i.e. raw supply costs, customer demand). In “How to Find the Right Buyer for Your Company” you will learn the difference between buyer types, which one is right for your company, and where to find them. One way to think about different types of buyers is to divide them into two categories: strategic and financial. Read “Strategic vs. Financial Buyers” to dig deeper on this distinction. One particular type of buyer is a private equity fund. Read “Selling to Private Equity Buyers” before you begin any discussion with a PE fund. “Assembling the Right Transaction Team” covers more than just the question of whether or not to retain an intermediary (i.e. business broker or investment banker) for the transaction but I list it here because intermediaries are indeed discussed on that article and intermediaries are the most common way seller are connected to buyers. Selling your company to an employee stock ownership plan (ESOP) may provide a number of unique advantages. ESOPs were created by Congress in 1974, to help employees accumulate wealth by providing tax benefits to business owners who sell their business to their employees. There are about 10,000 ESOPS in the United States today. If you own a profitable business with stable cash flow and great employees who care about the business, then you should consider this option. To learn more, read “What is an ESOP?” , “Tax Advantages of an Employee Stock Ownership Plan”, and “How to Use an ESOP to Meet Business Succession Objectives”. A letter of Intent (LOI), sometimes referred to as a “term sheet,” is an expression of interest. That is, it is an informal and usually non-binding offer made by one party to another. In our context, it is specifically made by a potential buyer to a seller. An LOI serves the useful function of making sure the parties (i.e. buyer and seller) are on the same page before they take the time (and, usually, spend the money on attorneys and other advisors) to conduct due diligence (see next section below) and to draft a definitive Purchase Agreement (discussed further below). An LOI contains most of the key terms, including price. A common scenario is that a potential buyer submits an LOI to a seller and they then negotiate it. Some buyers and sellers do this without an attorney but it is much better to involve attorneys at this stage if they are going to be involved at any stage of the transaction. Most LOIs state by their terms what some key “closing conditions” are. That is, things that have to happen or be true, or not happen or not be true, before each party has to proceed to consummate (a/k/a “close”) a transaction. A common closing condition that buyers try to include is a financing contingency (that is, the buyer can back out if it cannot get the financing it needs to do the deal). Read “How a Buyer Finances a Business Purchase” to understand better a buyer’s perspective on this. Another, much more commonly included closing condition is due diligence out. If the parties do not come to an agreement over the terms of an LOI then they will part ways. If, on the other hand, they can come to an agreement on an LOI they can then proceed to spend more significant time and money on due diligence and on negotiating a definitive purchase agreement comfortable that getting a transaction closed is reasonably likely. Before a potential buyer will buy your business (unless the buyer is an idiot) or even make a binding offer (to make a binding offer, the potential buyer has to decide its view of the value of your business) it needs to conduct due diligence. The reason is pretty simple: when you (the seller) provide the potential buyer with due diligence (i.e. answers to lots of questions about how your business does what it does, sensitive documents, and other information) your business could be hurt if the potential buyer shares that information with others or misuses it. Moreover, even the fact that you are thinking about selling your business may have hurt your relationship with your employees, customers, suppliers, and others. Read “Protecting Potential Sale Confidentiality” to help ensure that you don’t make a mistake in this regard. These articles are essential to read for two reasons: first, they serve to pull together, reinforce, and expand upon what you’ve learned to this point. Moreover, there is no deal without the definitive purchase agreement; everything you have learned to this point has, in a sense, been a warm-up to get to these articles. 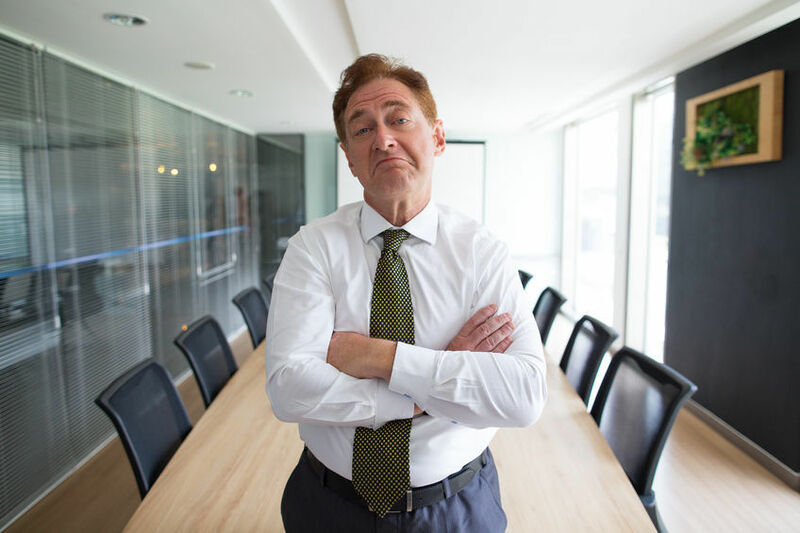 Previous Article	An Experienced Executive May Make an Effective Board Member Next Article	Why Is It So Hard For Leaders To (Shut Up And) Listen?